After a betrayal left Cheryl Miguel's heart filled with bitterness and anger, she experienced one loss after another, leaving her life in ruins. Isolated, alone, and broken she examined her life in search of clues that could help her heal. 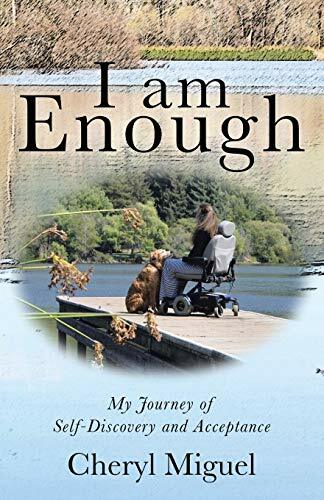 I am Enough is a heart wrenching and heartwarming memoir of a courageous and dedicated woman who refused to succumb to her life's extreme physical and emotional challenges. Tapping into her vast inner resources, she brings forth a well-spring of gratitude, healing, and enlightenment, not only for herself, but for all who know her. Cheryl Miguel is a mother, grandmother, and CPA. After living with lupus for fifteen years, she was forced to cut back on her accounting career. Having watched her father suffer through the challenges of the disease, Cheryl has devoted her life to her healing. She lives in Northern California with her animals, Sandie and Candie.